Everyone loses data at some point in their lives. Your computer’s hard drive could fail tomorrow, ransomware could hold your files hostage, or a software bug could delete your important files. If you’re not regularly backing up your computer, you could lose those files forever. Backups don’t have to be hard or confusing, though. You’ve probably heard about countless different backup methods, but which one is right for you? And what files do you really need to back up? A "bootable backup" (sometimes called a "clone") is like a spare tire for your car. If you get a flat tire, a spare will let you finish your trip or at least get you to the point where you can get more help. A clone is a complete copy of your computer’s primary hard drive (sometimes called a "boot drive"). If your computer’s primary drive died tomorrow you could hook up the clone, reboot your computer from it, and have immediate access to not only all of your files but also all of the software you use, including all of the settings and configuration changes that you have made. If you are in the middle of an important project or just don’t have time to replace the boot drive immediately, a clone can really save the day. A clone also has a copy of all your files as they were when the clone was last updated, which means that if you accidentally deleted a file, you can copy it back from the clone to your boot drive. A spare tire isn’t meant to be used for very long, and it usually isn’t as good as the original. The same is true of a clone backup drive. With a car there are lots of other things that can go wrong besides the tire failing. With a computer there are lots of other things that can go wrong besides the hard drive failing. Your computer will run slower when booted from an external drive, and there may be some other shortfalls. Still you’d definitely like to have a clone when your primary hard drive fails. Of course your clone will only be useful if it has been updated recently, because otherwise it will be missing files. However, because it has to examine every file on your computer, it can take awhile to create, and it is best not to use your computer while the clone is updating. Due to all of those factors, a clone is usually updated once a day at most and more often only once a week. So How Should I Backup My Computer? If it sounds overwhelming and complicated, then you’re starting to understand the complexity of the problem. That’s the bad news. The good news is that there are a lot of options out there to help, and they aren’t very complicated at all, once you are a little familiar with them. Making backups is much easier and less expensive than trying to recover files from a broken hard drive. Not to mention if your hard drive has been lost, damaged, or stolen, backups are the only way that you can recover the data that was on them. So start backing up your computer today and save yourself a lot of hassle down the road. 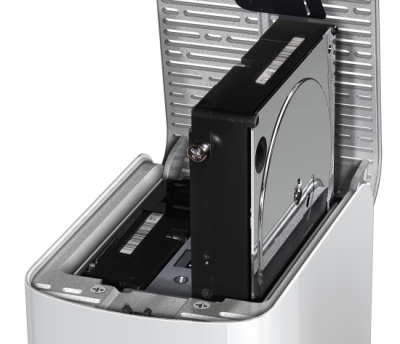 All hard drives will eventually fail; it’s just a question of when and whether or not you’ll be prepared. There are many ways to backup your files. Even manual copies (like saving a copy to a USB drive) are a kind of backup, they just aren’t a very good kind, because you have to do it manually, you have to do it repeatedly, and you have to manage things like deleting and renaming files. A good backup system is as easy as possible (so you’re more likely to use it) but the best backup systems automatically perform incremental backups so you don’t need to think about it or remember to do anything about it once the system is set up. You can also use an external hard drive to create an archive of your changed and deleted files. 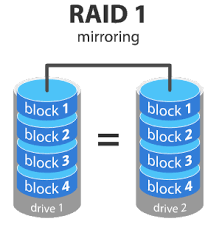 An archive is different from a clone in a few ways: first, it isn’t meant to be a bootable backup; second, it isn’t limited to a "snapshot" of your entire drive at one point in time. Instead, it creates incremental backups, which keep up with you as you work. External drive backups are mainly intended to provide a backup of your personal files, especially irreplaceable things like pictures. Instead of looking at your entire hard drive, this type of backup only looks at certain folders, such as your home directory. The archive part of this type of backup means that if files are on your primary hard drive are changed (or even deleted) you can go back to undo the changes and even recover those deleted files. If your computer dies you can simply plug the external backup drive into a different computer and immediately have access to all of your files, as well as the history of changes and deleted files. Most external drives for PC come with their own backup software. If you use a Mac you can buy an external hard drive and use Time Machine, which will run every hour and check for changes. It will save hourly backups for the previous 24 hours, daily backups for the previous month, and weekly backups for previous months. Time Machine is easy to use, both for backing up and restoring files, but it does have drawbacks. Having to connect an external hard drive to your computer is inconvenient for laptop users who want to be able to move their computer around. Apple also sells Time Capsule (a Wi-Fi router with a built-in hard drive), which can do Time Machine backups over Wi-Fi. 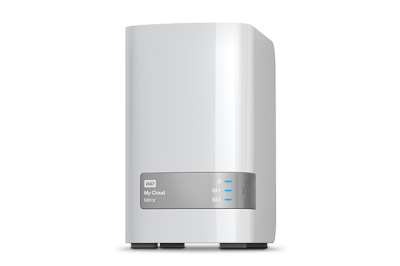 However it is relatively expensive (currently US$300 for 2 TB, or $400 for 3 TB) compared to other backup solutions. One advantage of a local archive is that there is no monthly or annual fee, and you have immediate access to all of your files in case your computer dies. However, the amount of file history (that is: how far back you can go to get previous versions of files, and how many deleted files you can recover) is limited by the size of the external drive. If you need to get a file back from yesterday or last week, you can probably do that. If you need to get a file back from several weeks ago, you might be able to or you might not, depending on how much other data is being backed up. Last but not least: an external backup drive is still a hard drive, subject to wear and tear, it will eventually need to be replaced, at which point you will either have to migrate your data to a new drive (if possible) or start from scratch. Having a backup (or two) next to your computer is a good start, but it still puts your data at risk for theft, fire, or other disaster. Your best protection against that type of loss is to keep another backup somewhere else. While you could make a clone and bring it to a friend’s house or your office, or even put it into a safe-deposit box, chances are that you would not remember to keep it updated because it would be inconvenient. In fact, cloud backups are the easiest kind to create and maintain. To get started you simply need to create an account, download software, run it once to enter your account information, and (optionally) set any preferences that you might want. After the initial setup you don’t need to do anything, the software will automatically keep your computer backed up any time it is turned on and connected to the Internet. Behind the scenes a lot is going on with your cloud backup. First your files are encrypted so no one else can read them. Then they are copied not just to one drive but to lots and lots of drives. One of the main benefits of cloud backup is that the "cloud" is made up of many distributed and redundant computers and drives, so the loss of any one will not cause you to lose any files. Once they are uploaded, you never have to worry about uploading them again unless they are changed. Even then, changes can be sent much faster because the software is smart enough to know what is different and only send the changed data. The main downside people have with setting up an offsite backup is the initial upload, which can take a few weeks or even a month. This depends on how much data you are trying to upload and the speed of your connection. Most ISPs are more focused on download speeds than upload speeds. If your current plan has slow uploads, you might be able to call them and temporarily upgrade to a plan with more "upload bandwidth" during your initial backup. Another potential negative is if you lose your entire drive and need to get all of your files back. In that case you would be limited by the speed at which you can download from your cloud backup provider. Which Backup Option Should You Choose? A bootable backup can really save the day, but if your computer dies because of something other than the hard drive, a bootable backup won’t help. Also, you have to remember to update it. If you use a desktop computer a local external drive backup like Time Machine is great, assuming you can keep the drive connected and running all of the time. However, fewer and fewer people are using desktop computers today, and if you use a laptop you either have to remember to plug in the backup drive or get a wireless backup system like Time Capsule, which can be expensive. "Set it and forget it." Backblaze online backup will work anywhere you are connected to the Internet. Once you set it up all you have to do is leave your computer running until the initial upload is done, and after that it will update as needed during the normal use of your computer. You don’t have to buy any hardware or figure out where to set it up or even configure it. Just download the free trial software from Backblaze and install it. There are settings you can customize if you want, or if you’re one of those people who likes to peek under the hood. For most people the default unlimited backup is perfect and after you download and setup your account you can just sit back and relax as Backblaze goes to work. Remember: All hard drives will eventually fail - it’s just a question of when and whether or not you’ll be prepared.